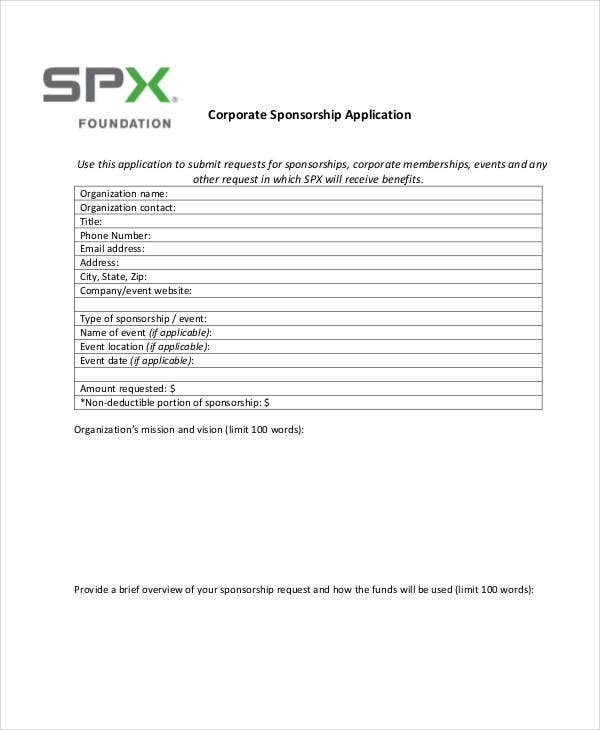 A sponsorship is requested by an entity for a specific purpose. 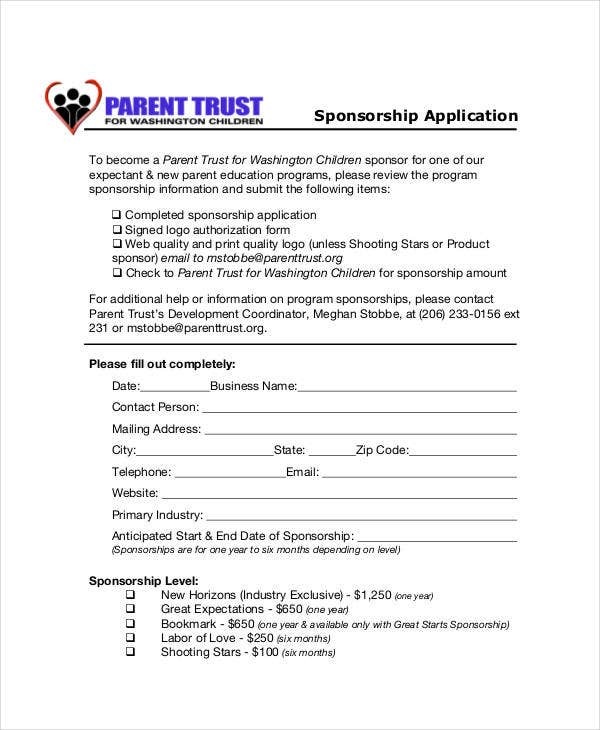 The money or items gathered from a sponsorship is used for a project to materialize, an event to happen, or for someone to attain his or her goal. 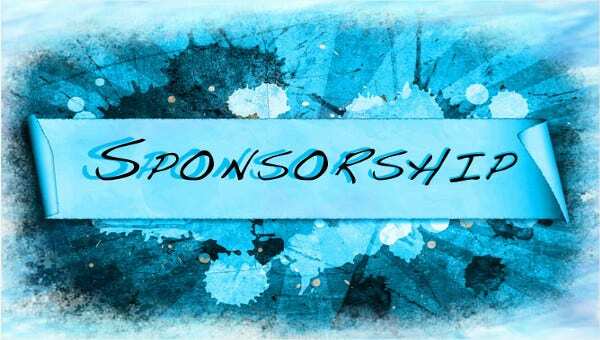 The functions of sponsorship play a vital role in helping with the achievement of one’s objective. 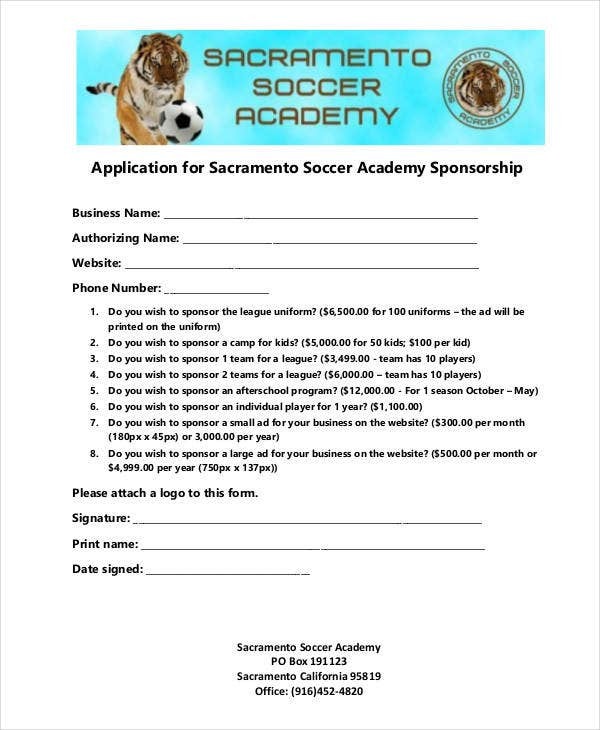 If you provide sponsorships for an individual or a company, it is very essential for you to formally process the transaction. 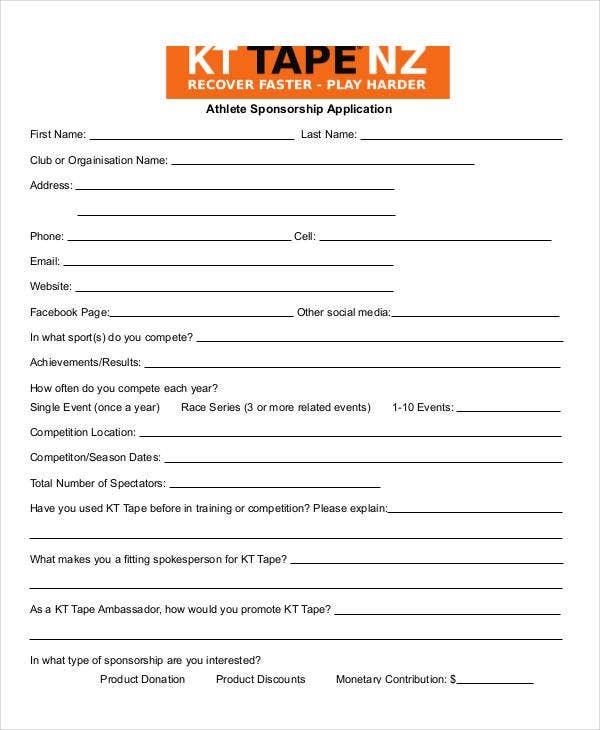 This can be done by answering a sponsorship application form. 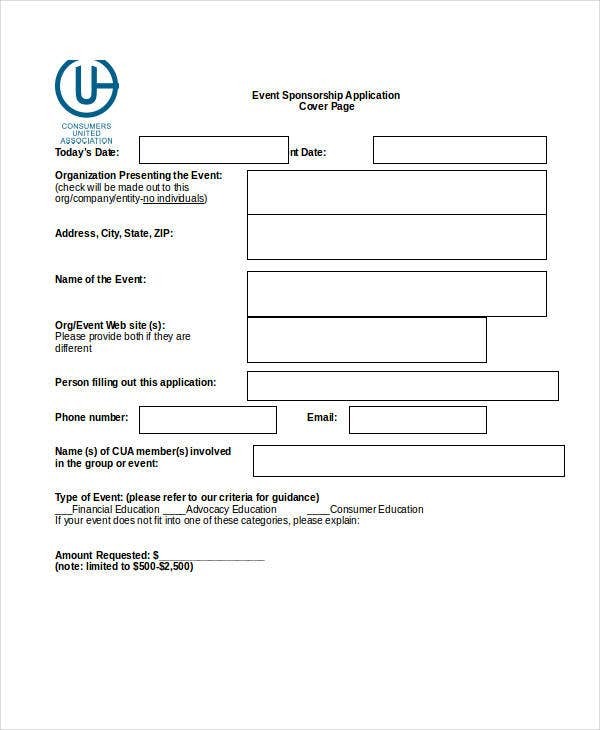 We can provide you with sponsorship application templates and more Application Template samples which you may use on other purposes. 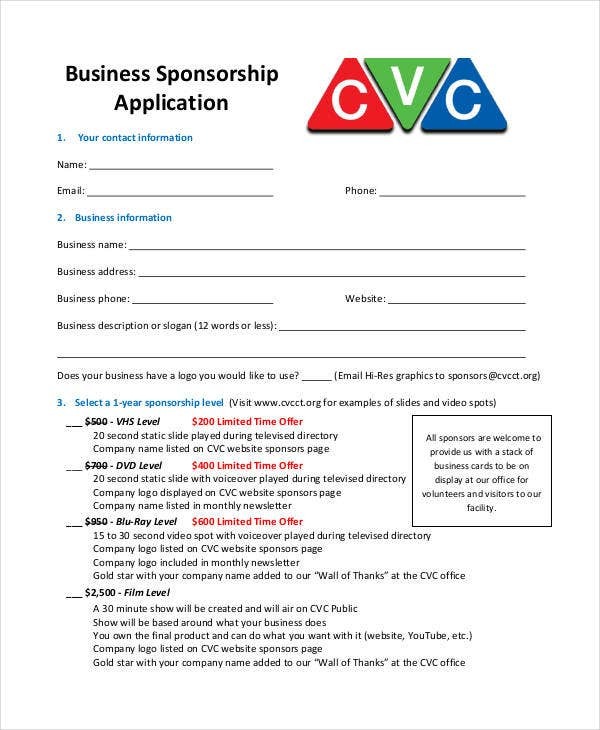 Businesses may sign up for a sponsorship that may run for a specific period of time or they can just sponsor a single event or program. 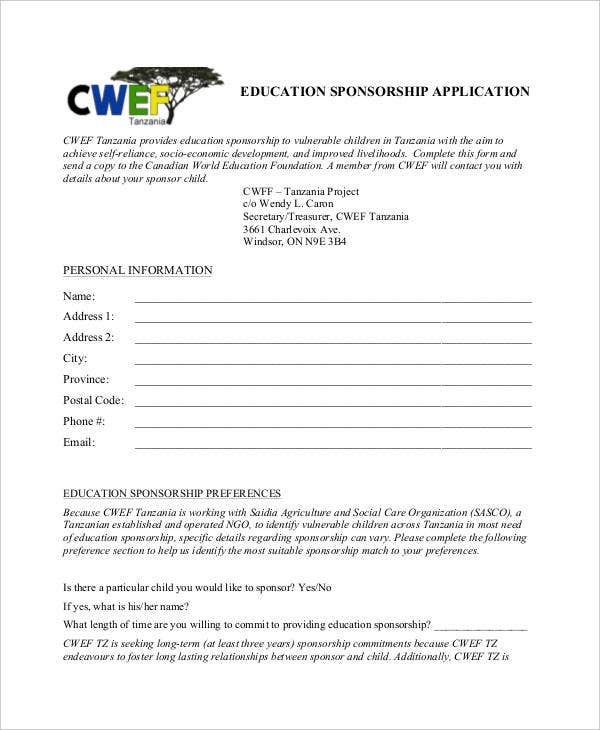 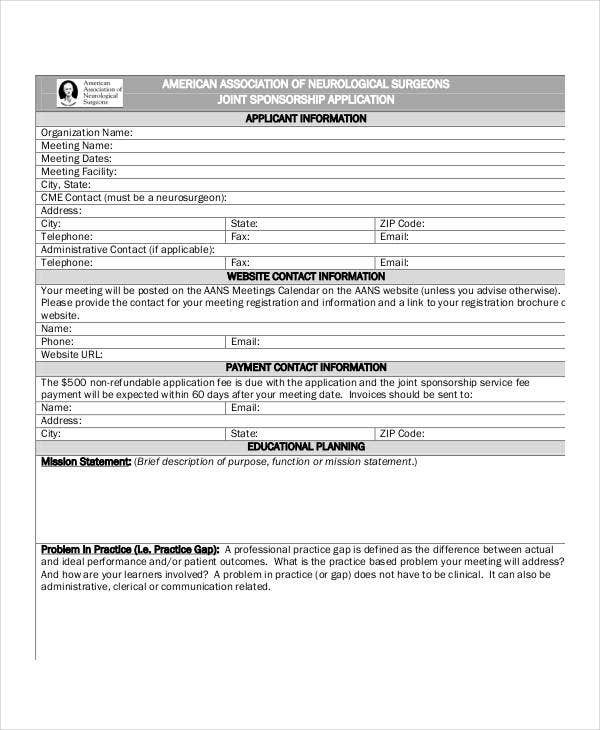 Other than our sponsorship application templates, you may also download our samples of a Scholarship Application and a Grant Application. 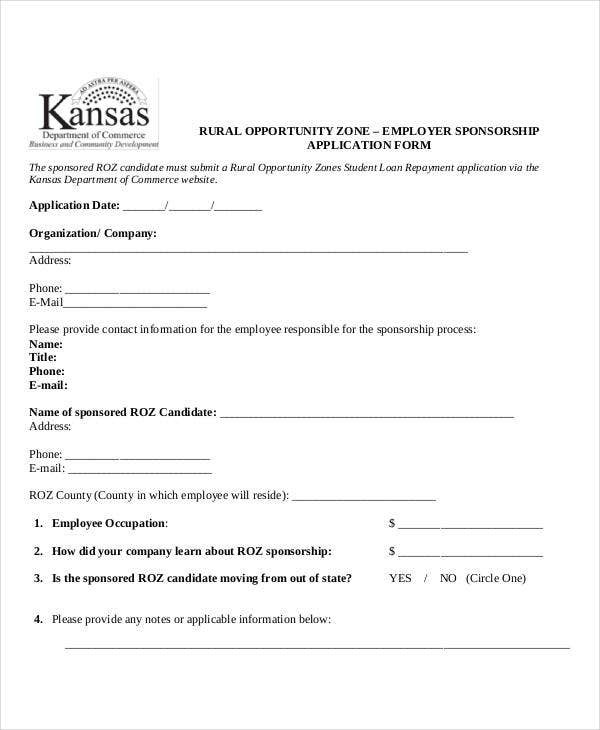 Aside from our sponsorship application samples, you may also download our Credit Application templates.